Bad Wine is a Waste of Money--Don't Buy Without Knowing These Tips! If you’re reading this now, you probably agree with us when we say that wine is good, and almost always guarantees a great time. While we’re never the type to shy away from a new bottle, we do think that there are certain wines that are better off ignored. Wine is beneficial to many aspects in life (social, emotional, even health!) 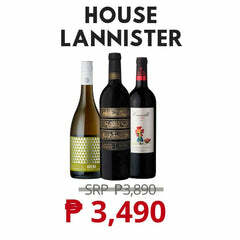 but there are ways to make it bad, whether it’s through improper handling, ridiculous pricing, or just poor winemaking. Quality wine always has noticeable markers (of course, you can’t go wrong with our meticulously chosen, and quality-assured selection), and we’re here to make sure you don’t get cheated with a bad batch, kavino. 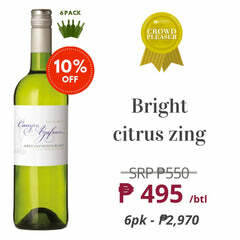 While there are some rare, quality wines that almost equal the price of the average Filipino’s monthly rent, it is possible to find a great bottle that won’t burn a hole through your wallet. 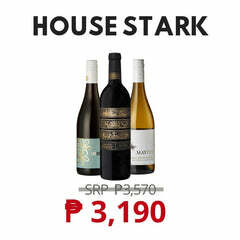 Do keep in mind that importation and handling fees alone would add about PHP300 per bottle, so purchasing anything below PHP500 would mean that you’re paying about PHP200 for glorified grape juice disguised as wine. 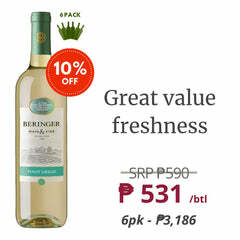 If you’re on a budget and looking for well-made wine in the Philippines, spend about a minimum of PHP800 per bottle to ensure that you’re paying for good wine, rather than spiked grape juice and government fees. Wine ages best under cool temperatures and low-light environments, so when buying wine, make sure that the bottle isn’t stored directly under harsh light and constantly changing temperatures. Bottles stored under the wrong conditions would result to the wine tasting flat, overly bitter, and unpalatable. When buying corked bottles, it would be best to choose those that have been stored on their side, instead of one that’s been standing upright. You want the wine to always be touching the cork to keep it moisturized, as dried corks would result to oxidized and possibly, contaminated wines. Wines with stelvin caps are less vulnerable to storage conditions, as damage risks are eliminated. Stelvin caps are also Winery PH’s preferred bottle packaging, as Manila’s tropical climate would have harsh effects on corks. If you’re buying online and unable to check the store’s storage facilities, choose an online wine store that guarantees proper storage and quality, and allows you to return damaged or contaminated bottles. Wines that don’t give harsh textures on your tongue, and has harmonious flavors are considered as balanced and of good quality. We previously discussed the 5 fundamentals of wine, which are body, alcohol, acid, tannin, and sugar. A balanced wine would mean that all five fundamental flavors would combine evenly and with equal intensities to produce a taste and feel that is pleasurable to your palette. Balance is a great signifier of masterful winemaking. If there’s no immediate way for you to taste the wine before purchasing, a reliable way of ensuring is by choosing from a region that’s best known for making a specific varietal. If you’re into red wine, try a Durif from Rutherglen, Victoria, or Chardonnay from Sonoma County, California if you prefer white. Complexity is a term that gets thrown around in every industry to describe things that are so excellent that they’re almost incomprehensible. This applies in wine as well but more specifically, a complex wine piques your curiosity and makes your palette crave for another sip. It’s that quality that lets you find different flavors, aromas, and textures in every sip, yet they all work together to form a unified, and delectable taste. Many wines do have combinations of flavors that in turn, make complex and interesting tastes. However, if you’re into practicing your palette and detecting flavors, you can try bottles that have combined varietals, such as Sangiovese Cabernet or a Sauvignon Semillon blend. Tasting wine is still the most definitive way of knowing wine’s quality, so make sure to drink well and often to be able to appreciate the different flavors, textures, and intensities. 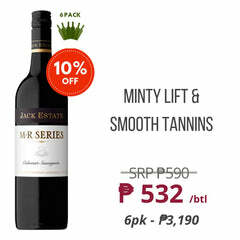 While it’s rare for wine stores in Manila to offer free tastes of their wine selection, there are many opportunities to taste wine prior to purchasing a full bottle, such as wine tasting events and buying by the glass. Do keep in mind that even though there are various wine guides, scoring and awarding systems, the true mark of good wine is always your own preference, so don’t be shy and drink any varietal from whatever region you’re interested in. Cheers, kavino!